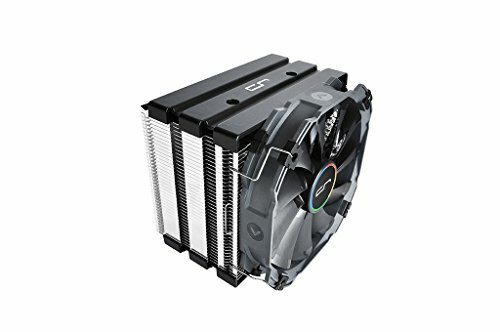 I think this is the best cooler under 50 dollars. Keeps my cpu really cool and is also really quiet. Ultra quiet, does a great job at keeping CPU cool. My only complaint was that the back of the X-bracket slightly touched the back of the mounting area on the case; I remedied this by wrapping a small piece of electrical tape around the area where the bracket was touching. Hasn't been a problem. Only chose this because it was better than the H7 and was actually in stock. Not four hours go by that the h7 comes back in stock. 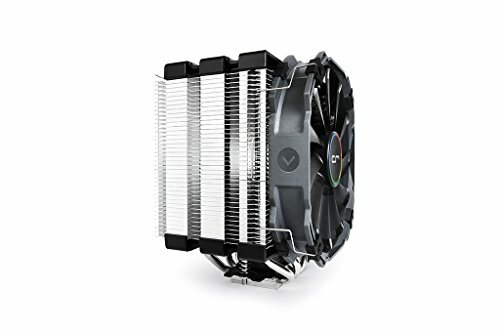 I've been eyeing this heatsink for a year now and I'm honestly amazed by its performance. Even at 1500 rpm my GPU fans are louder. Get this if you can fit it in your case. An amazing cooler for the price. My average idle temp is 23 C with a maximum of 42 C under load. It's really quiet and basically never goes above its minimal 700-800 RPM range with the default fan curve. Nominally, it shouldn't fit in the Manta with the fan raised to clear the first memory module (as pictured), but the curved panel has TONS of room to spare even in this position. Initially I thought I'd have to mount it vertically with the case exhaust fan on top, but fortunately, wasn't needed. 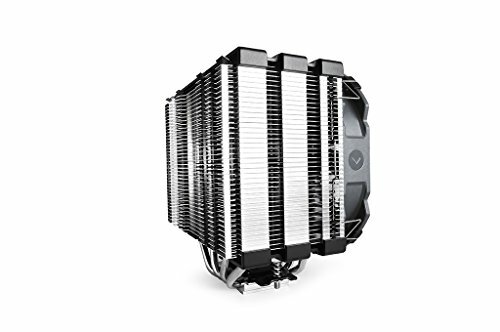 So if you are considering this cooler for a Manta but have doubts about its height, don't worry. The built quality here is sublime and the installation is fairly easy. For some reason I decided to install it with the motherboard already inside the case, so planting this monster onto the mounts was a bit tricky. Not too tricky though. from completed build The Bringer of Silence. Whisper quiet compared to the the rest of my rig's fans and looks pretty nice. Was pretty annoying to install into my case though. Keeps my CPU nice and cold. Installation was a breeze with the bracket setup it uses. It covers up the first RAM slot, but I only have 2 sticks and don't use it. Definitely check clearance with RAM though if you plan on using 4 slots or if your motherboard wants you to use the first slot. This thing keeps my CPU super cold. so far I have not had my CPU go above 71C. It is huge though and the size can be a little bit of a problem when building. 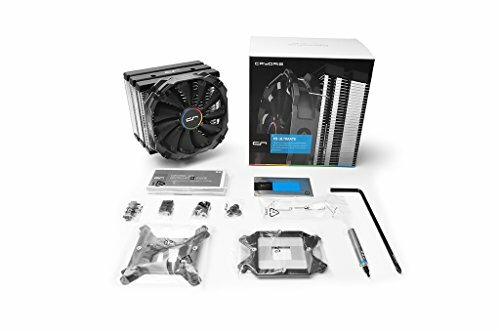 If you're planning on using this as your cooler I would recommend putting it in last or near the end as depending on the size of your case and the location of plugs on your mobo the cooler with or without the fan can block some of them. 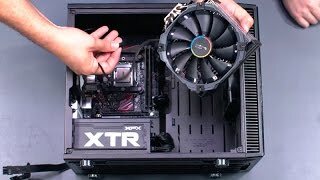 Also depending on the location of your CPU cooler fan header I would connect it before installing the fan. 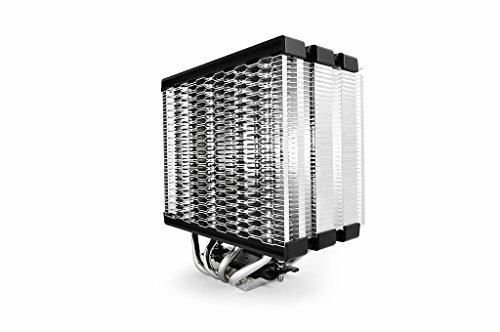 Honestly a great air cooler I picked this up used for around 40$ and can definitely say it was worth it. 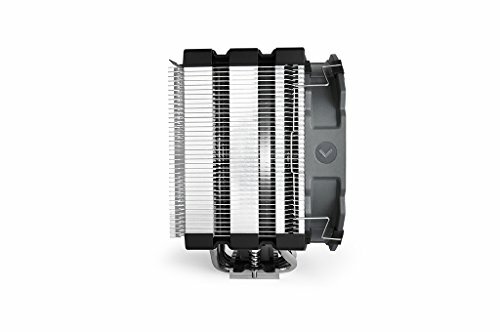 I have no problems or issues with this CPU cooler, it performs as intended and it performs well. I haven't seen my 7700k heat up past 54 degrees Celcius but the most intense game I play is Fallout 4. It is huge cooler, barely fits in my S340 case, and covers a ram slot with the added width of the fan.